As one of our largest penstemons in the PNW, this flower is hard to miss! Look for it on drier hillsides and valleys east of the Cascades where it often blooms alongside Lupine (Lupinus sp.) and Balsamroot (Balsamorhiza sp.). 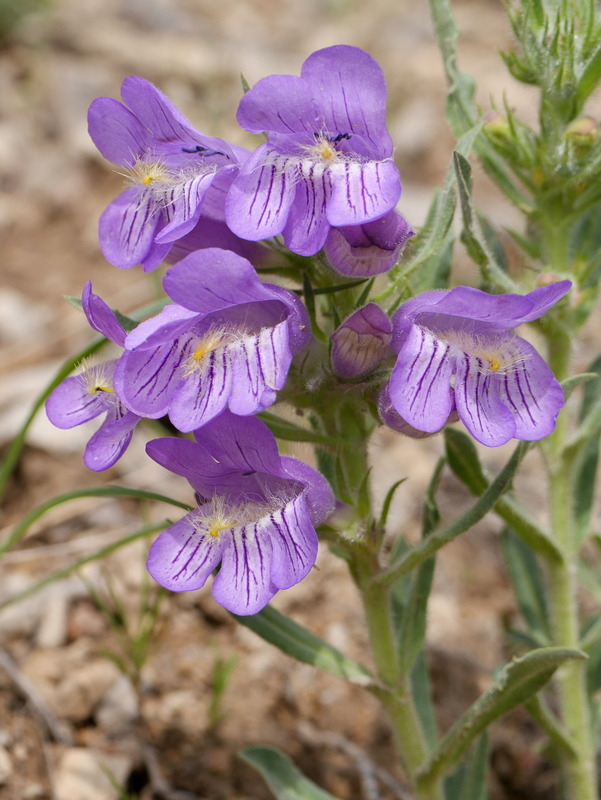 Its common name, Fuzzy-tongue Penstemon, is somewhat misleading as all penstemons are characterized by possessing a “fuzzy tongue.” These fuzzy tongues are actually sterile stamens (one of five total, which is where the name “pente-stamen” comes from) which attract pollinators.